Nowadays, we take for granted how much information is readily available online about sexuality and gender. But a few decades ago, there was no YouTube, few blogs, and no easy way to learn about being LGBTQ, and especially about being transgender. Ryan Sallans felt uncomfortable with his body from a young age, and as a teenager in ‘90s, he experienced severe anorexia. 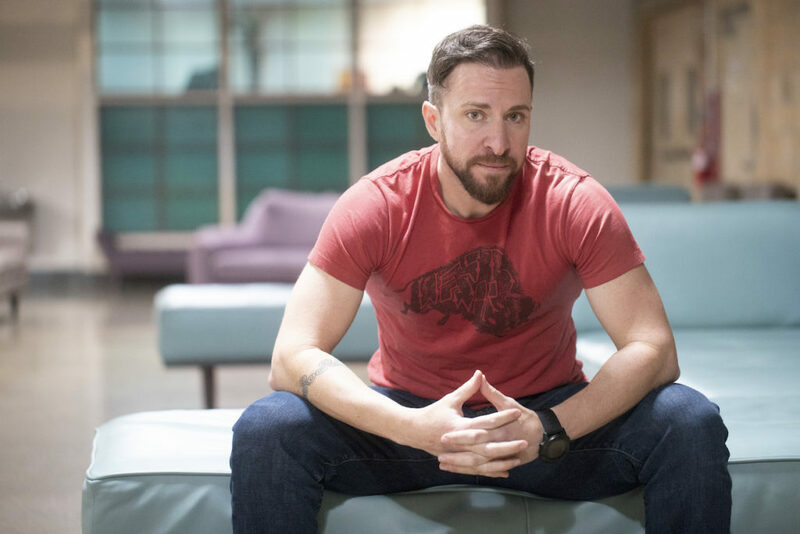 He came out as a lesbian in the early 2000s when he was in his mid-twenties, but less than a year later, he stumbled upon a book that helped him realize he was actually a trans man. Sallans had always enjoyed public speaking and writing, but starting in 2005, a year after he started his transition, he began getting paid to speak about his life experience, and he was featured in a Logo documentary in 2006. For his day job, he was a health educator and internal communications writer for Planned Parenthood. 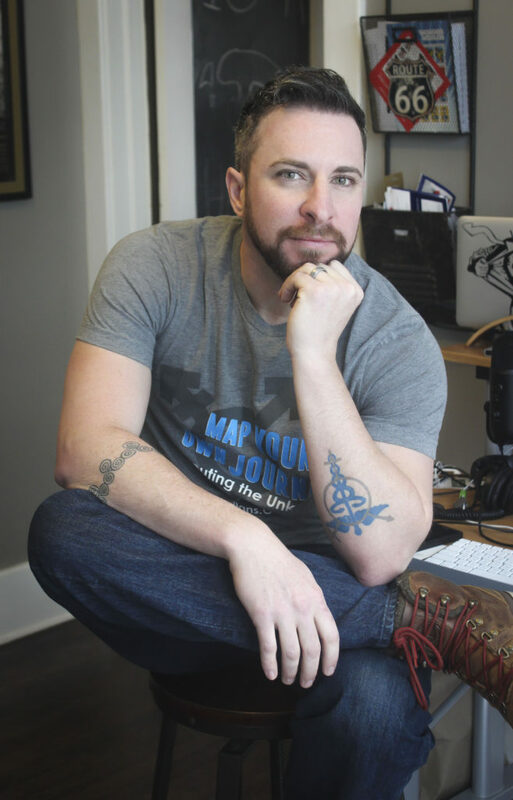 In 2011, after six-and-a-half years with Planned Parenthood, Sallans left his job to work full-time for himself as a public speaker, educator, and consultant on LGBTQ and transgender issues for businesses and universities. 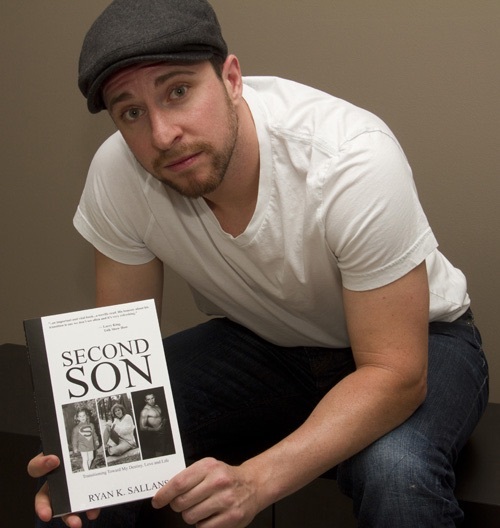 He’s also an author; his autobiography Second Son was released in 2012. A few years later, Sallans started volunteering for the Jim Collins Foundation, a nonprofit that provides grants to help the trans community access gender-affirming surgeries. In early 2018, Sallans became vice president of the organization. 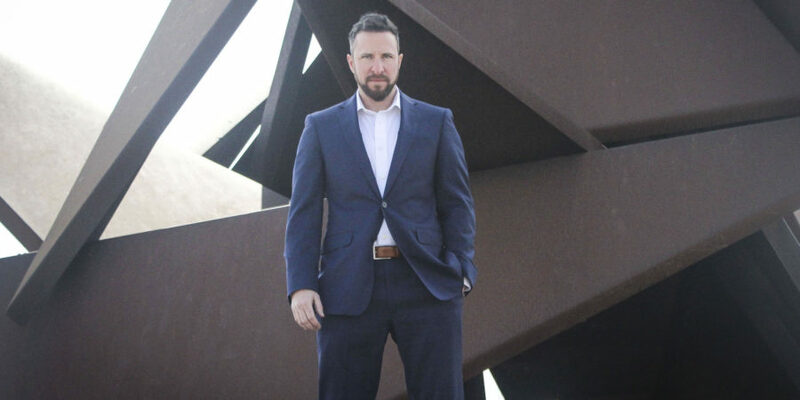 Sallans, now 39 and living in Omaha, Nebraska, continues to travel across the country for speaking and training engagements, and he is working on a second book. 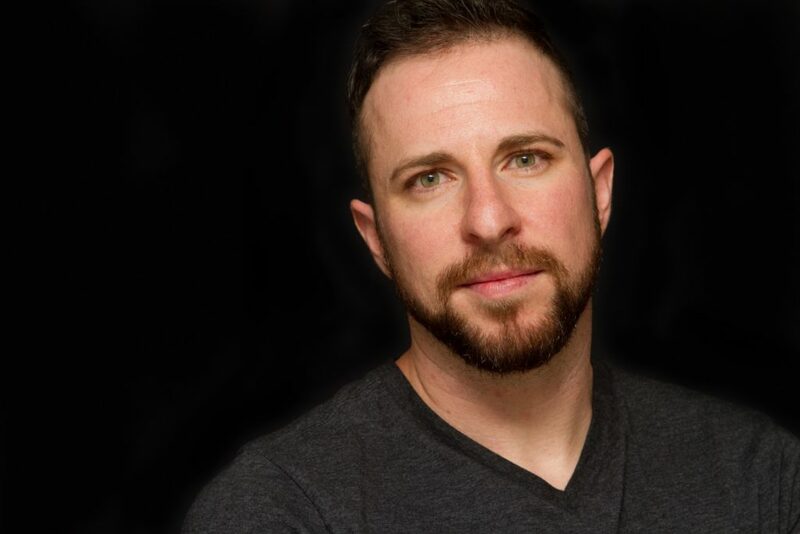 This is his story of realizing he was transgender, finding his calling as a speaker and educator on trans issues, and working to help improve access to gender-affirming surgeries. 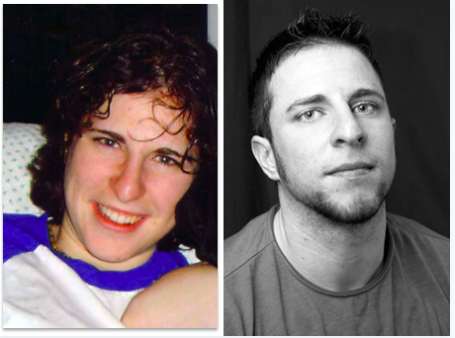 Profiles in Pride: What was your journey to realizing you were trans and coming out? Ryan Sallans: Since I’m a little older — I’m looking at the current wave of the trans movement — I actually didn’t realize that I was a trans man until I was 25 years old. That would have been back in 2004, and it was eight months after I came out as a lesbian. I was in a bookstore in Boston with my partner and we ended up in the transgender section. I saw the book Body Alchemy by Loren Cameron, which is a book of photographs, like a coffee table book. It featured self-portraits of Loren and photographs he took of 17 other individuals who were born assigned female and transitioned to male. Reading their stories and seeing their pictures finally put a mirror in front of me, and I understood immediately when I saw this book — I just knew who I was. Then five months later, I began my transition in Nebraska. PIP: Were the people in your life supportive? RS: My closest friends were very supportive of me even though they didn’t really know much about it. It’s funny, I came out to my friends about being trans and about going to have chest surgery at an Ani DiFranco concert! So they were a little bit shocked because they didn’t really know much; nobody really knew much about what trans meant back then. I think there was a little bit of questioning, like, “Is this the right choice, what will this look like, what does this mean?” But they were still supportive of me. With my family, my brother was supportive right away even though he had a lot of what-ifs and fears around my transition, because again, nobody really knew much. My parents were not supportive whatsoever, and neither was my sister when I first came out, but over the years they’ve changed dramatically. PIP: You were in the Logo channel documentary Gender Rebel; how did you end up getting featured in that? RS: I was bored at work one day, and this was after I came out as trans, but at the moment I was trying to do compromises with my girlfriend. She wasn’t happy about this news at all; she said she was a lesbian and can’t be with a man. So I was trying to compromise my transition by just having my chest surgery, but not having anything else. Even though I knew I wanted to go forward, I was scared of losing my relationship. So I was bored at work one day while I was going through all this, and a casting call for the Logo network came across my desk somehow. I must have been doing research online. This was right before Logo even launched as a network, and they were starting to film content before their launch. They were having casting calls for people who identified as genderqueer. For about two seconds into my transition I thought maybe that’s how I could identify. I emailed them and they emailed me back, then they called me and a few months later they came and started filming. So it was very quick. But I realized even before they came that I actually was not genderqueer, that there was something deeper there. But the story was so powerful and rich, they kept it. In fact, they had a lot of difficulty finding people who are genderqueer. It’s interesting when you watch it, because most of the stories are about people who are born assigned female but identify as male or are going to start identifying as male. PIP: I know you work for yourself as a speaker and consultant; what kind of places do you work with? RS: One of my largest audiences is university and colleges. I do a couple things for them. One, I can provide professional training for staff development. That can be for any department or for the university as a whole, and that’s on how to improve trans inclusivity on campus. It’s about what we can do to break down the barriers for trans students and employees to create a more inclusive and safer campus. I also provide programming that can be either a classroom discussion or a campus-wide presentation, and typically the two most requested are either sharing my transition story and having that be the focus, or talking about my eating disorder recovery and body image along with my transition. Then I also work with corporations, and I do a couple different things. I either work with training them on LGBTQ inclusion as a whole, or I do specific training around trans inclusion within companies. It’s either just in general, or sometimes people have an employee who’s going to begin a transition, so they bring me in to have a sensitivity training for their coworkers and staff. I also do keynotes for companies. The most prominent keynote is my transition story; it’s been requested a lot by different corporations. 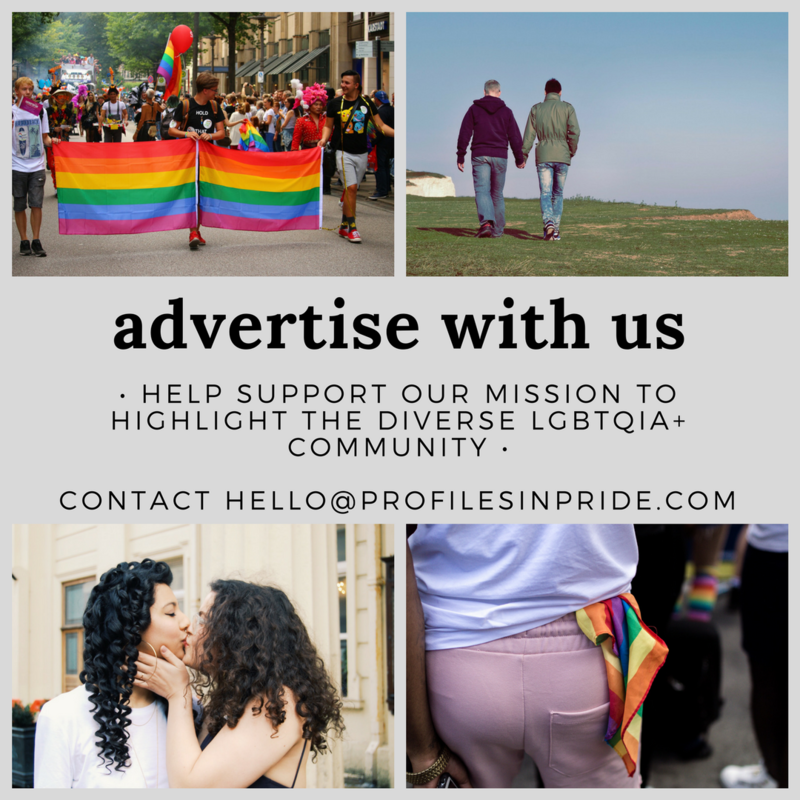 I also work with the federal agencies and the military on trans identities, and lastly, I train healthcare facilities and hospital systems on LGBTQ health. PIP: I know you had a severe eating disorder; why is that something you bring into the conversation? RS: I think it’s a really important topic to be open and speak about because there are so many trans people who are impacted by either disordered eating behavior or actual eating disorders. But it’s very marginalized within awareness around it. PIP: Was it something you felt was directly tied to your transition? RS: That was absolutely a piece of it, but there’s multiple contributing factors that impact and influence people and eating disorders. I have a genetic predisposition for it, plus bullying as a child, self-esteem issues, body image issues. That can be related to me being trans, but I also think it’s different messaging I heard growing up. Being socially reared female in this society and trying to find a way to be accepted with the female identity that I thought I had. Also, being a perfectionist and my personality structure. So there were many different things that influenced it. PIP: You wrote a book, Second Son, about your life, including your eating disorder and transition. What inspired you to write it? RS: I have a couple master’s degrees, and one is in creative writing. Writing is just a love of mine. I’ve been going around the nation sharing my transition verbally since 2005, so I decided that I should also write a book about my transition, just because I could dive into things that I could never cover in a talk. You need to actually be able to sit with a book to be able to experience what I went through. I published Second Son back in 2012, and it’s still doing well and I’m still receiving praise from people. People enjoy my writing style because I’m very accessible, I write in a way that’s very easy and quick to read, since that’s the way I like things. I’m currently working on my second book, which I’m hoping will be published by July of this year. It picks up where Second Son left off, but it also really dives into how we as a community can start to embrace each other, because the identity politics that we’re putting on one other and the way we’re trying to erase each other’s identities is really causing us a lot of harm. I really dive into that just by my personal experience with people who have attacked me who know nothing about me, and how it has impacted me and also helped me grow and understand what we can do different so we can be better. Not only in advocacy, but also how to better to each other in our community. It’s just terrible, and I just cannot believe the things people say. Broadly generalizing a person’s experience by what you choose to see in a moment is judgmental and hurtful. This is one reason why I write books about my life. My hope is that by sitting with a person’s story and seeing the good and the bad, we can see the complexities of being human that cannot be generalized, categorized or labeled. PIP: Definitely. So you are currently the vice president of the Jim Collins Foundation; how did you get involved with the organization? RS: I’d learned about the Jim Collins Foundation while I was a health educator at Planned Parenthood. During that time, I began and then facilitated a trans-masculine support group within the organization, and some guys reached out asking if I’d write a support letter for them because they were going to be applying for a grant through this foundation. That’s how I first learned about it; that would have been in 2009 or 2010, so I was aware of them for a number of years. Then in 2014, the cofounder of the organization posted to the WPATH listserv seeking new board members. [Editor’s note: WPATH is an organization that creates worldwide standards for trans healthcare]. At that time, I felt that I was in a place where I was ready to take on responsibility. I’d left the support group and I wanted to do something — continually giving back to the community is very important to me. I applied and was accepted, so I’ve been with the Jim Collins Foundation since 2014. Then Tony and Drew, the co-founders, came to a place where they were ready to move onto other things, so I stepped into the role of vice president at the beginning of 2018, and Jody Randall is the president. PIP: Why is the mission of the organization so meaningful to you? RS: Due to the lack of coverage, lack of access to care, or lack of access to employment that many trans individuals have — either because of discrimination or not having access financially to moving forward with education or pay for insurance premiums — it’s so important to have the Jim Collins Foundation around. Through our founder’s grants, we pay 100% of the surgical fees associated with a gender-affirming surgery. We also have a Hembrough grant that was a legacy left to us, so it’ll eventually disappear when we run out of money for it. With that grant, we pay 50% of the surgical fees associated with a gender-affirming surgery, and the grantee will pay for the other 50% of those fees. It’s really amazing to be able to work for an all-volunteer-run and -led foundation where we’re able to facilitate these grants for people and change and save and influence their lives. PIP: It’s such important work. Before we go, is there anything else you’d like to share? RS: I think it’s important just to continue with hope. For people to recognize that when you look at employment, when we look at universities, when we look at healthcare systems, every year more and more organizations are seeking ways to be able to improve their policies and support their employees. I think with the Trump administration, there’s been a lot of fear that everything will be rolled back, that we’ll lose all these protections. But my business is getting busier with this administration. Because while they’re trying to do things, companies and healthcare systems recognize we’re not going to move backward with diversity and inclusion. They’re going to try to improve their environment. It’s really encouraging. If you look at the number of hospitals that are now participating in the Healthcare Equality Index or companies that are participating in the Corporate Equality Index by the Human Rights Campaign, these numbers are continually growing. I’m going into some of the most conservative regions of the United States to provide trainings. In fact, I was the first trans speaker allowed on the Mississippi State University campus this year. I think we’re going to continue to see this grow in a very exciting and positive way — we just have to go through these growing pains as we do it. Learn more about Ryan and his work on his website, RyanSallans.com.